As a managed web hosting company, LiquidWeb has dominated this space currently boasting of 3 wholly-owned data centers and over 30,000 clients spread in over 150 countries. Their innovative, quality and customer-targeted web-hosting solutions are layered with premium customer support. They cater for businesses across the spectrum from small enterprises to multinationals. Do you want to start a blog and not quite sure how to go about it or where to host it? Don’t worry because this is a path frequented by lots of beginner bloggers. While it is true that the market is awash with lots of blog hosting options, selecting the right one can be quite a stressful and overwhelming task. LiquidWeb is one of the world’s leading brands in the blog hosting space. They have helped thousands of site owners from across the world to anchor their blogs on their platform. One thing you can be assured is that your content as well as your blog will always be safe with LiquidWeb. This is because of the proactive approach the company uses to prevent issues instead of waiting until they occur for them to respond. Optimized Loading Speeds – To ensure quicker loading speeds for your blog pages, LiquidWeb uses techniques such as image compression, site-wide caching, and delayed image loading. Guaranteed Uptime – To make your blog visible to your target audience at all times, the support team and the backend technicians have put in place several layers of backups. Central Multiple Blog Management – LiquidWeb have a robust partnership with iThemes and this means you can manage several blog sites in the same way you manage a single one. With LiquidWeb, you are picking a partner who is easy to reach and can help you maximize performance and give you the opportunity to scale your hosting architecture as your audience grows. Manage as many as 100 sites as easily as you can manage a single one. Deploy updates to tons of sites with a single click. If you have a high traffic ecommerce website, you need a hosting solution that gives you the best possible performance. LiquidWeb have feature-rich dedicated server hosting solutions that are both Linux and Window-based. These servers guarantee you 100% network uptime 24/7 proactive Sonar Monitoring, server hardening through ServerSecure and Heroic Support. You have the flexibility to choose from a preconfigured fully managed bundle or a customized solution that allows you to take charge of your own dedicated servers, but still receive support. The single processor servers give customers a locked down security and a high performance for any website. This package is great for database hosting, file server hosing, and high traffic sites. Their pricing starts at $199 per month. The dual processor on the other hand packs more processing power to cater even for the most demanding sites. You can choose dual processor dedicated servers if you are hosting many sites or you want a large database hosting solution. The cheapest package for the dual processor starts at $399 per month. LiquidWeb gives its customers at no extra charge full management of one of the most robust CDNs globally. This helps in boosting your site speed as well as security. Every dedicated server has a built-in local backup. In addition, you can purchase an extra layer of backup protection through the Guardian Backup system. To ensure that your website resources including customer data is safe, LiquidWeb includes ServerSecure with every dedicated server purchase. With a team of solution architects, LiquidWeb have what it takes to support you through feature-rich solutions that are continuously updated and professionally managed. The only area of concern is the high price charged for these solutions. However, as with any quality service, you pay for what you get. The virtual private server (VPS) hosting solution offered by LiquidWeb is arguably one of the most popular amongst their customers. One of the reasons behind this is that their plans start at a much lower price compared to the others and it is the only entry window into LiquidWeb’s premium hosting solutions after the discontinuation in April 2016 of their shared hosting. Clients on VPS hosting solution have access to both Linux and Windows platforms and enjoy the flexibility of choice from a wide range of operating system templates including Ubuntu, Fedora, Debian, CentOS 6,7 as well as Windows Server 2012 R2. While VPS hosting is core-managed, LiquidWeb also ensures that customers have access to self-managed options. This solution gives you the performance of a dedicated server on one hand and the flexibility of cloud hosting on the other. The variety of plans ensure that you get exactly what you are looking for in terms of performance and pricing. There are 2 GB, 4 GB, 8 GB virtual private server plans ranging from 2 to 8 core processors and up to 300 GB SSD of disc space. 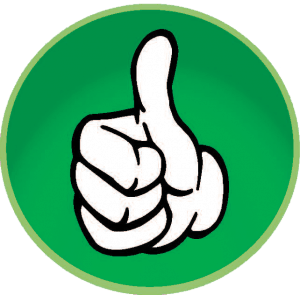 All VPS hosting plans are backed by a 100% US-based Heroic Support that is available via email, chat, and phone 24/7. Compared to their competitors such as Amazon, DigitalOcean, and Rackspace, LiquidWeb’s VPS stands out. The VPS hosting solution comes with a free domain name, free SSL certificate, as well as a cPanel, webhost manager, and plesk. Price stands out as the major hindrance to customers wanting to migrate to this hosting solution. The cheapest package under VPS costs $59 per month. If you consider the upgrades such as bandwidth, operating system, daily backup, and addition IPS, you will certainly spend more. For a beginner, the knowledge base section looks random and covers current trends which anyone can search around. If the categories can be expanded so that customers can have access to reference guides and answers based on their hosting packages, it could be helpful. As always LiquidWeb’s quality of service is topnotch, but comes at a relatively high price tag. If you are looking for uptime, reliability and premium hardware and cost is not a problem, then this is a commendable provider. Riding on the popularity of WordPress, LiquidWeb chose to specialize in this content management system and offer WordPress hosting. In short, the company gives a concierge service where the technical aspects of managing your WordPress are handled in-house by LiquidWeb. The idea behind this hosting solution is to offer you a hassle-free experience so that your focus can be 100% on running your business. Blazing Fast Speeds – The managed WordPress hosting servers are specially configured for WordPress. Even if your website is experiencing a spike in traffic, the speeds do not change. Content and Site Safety – LiquidWeb team of experts works at preventing issues from affecting the performance of your website. They offer proactive care to all the sites under the WordPress hosting solution. They have a Malware monitor, post backup monitor, pre-plugin upgrade monitor, and pre-PHP upgrade monitor. Site Management Made Easy – The partnership between LiquidWeb and iThemes has made it relatively easy for customers to manage a bundle of websites as if they are managing one. With a single click, you can deploy a chain of updates to very many websites. Plugin Updates – The managed WordPress hosting solution at LiquidWeb helps in updating plugins. 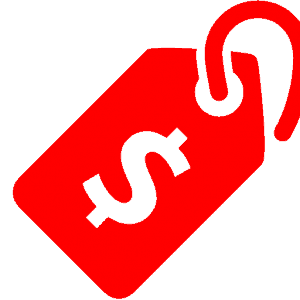 They even go a step ahead to test the updates for you using state-of-the-art visual comparison tools to ensure nothing has changed. Only after approving the updates do they take effect in your site. In terms of cost, it is expensive to subscribe to LiquidWeb’s managed WordPress hosting solution. The cheapest plan the company offers is $119 per month. Since the server architecture is customized for WordPress platform, running another website, which is not WordPress platform-based can be a challenge. If you are the kind of website owner who does not like giving control to someone else, then this hosting solution is not for you. Otherwise, LiquidWeb’s managed WordPress hosting solution is one of the best in terms of performance. LiquidWeb is a managed web hosting company that has been operating in this domain from 1997, currently boasting of 3 wholly-owned data centers and over 30,000 clients spread in over 150 countries. As one of the formidable forces in the web hosting industry, LiquidWeb have displayed unwavering dedication to designing and rolling out some of the best hosting products layered with premium customer support. With 20 years of experience behind it, LiquidWeb have lived through the transformations in the tech industry including the tech bubble of the early 2000s. From its humble beginnings, the company has grown and diversified its web hosting services to cater for businesses across the spectrum from small enterprises to multinationals. To support the above products, the company also offers services such as storage and backup, network services, software services, monitoring services, security services, mail hosting and log management. With a promise to provide reliable web hosting solutions, the company has employed over 400 on-site support staff to attend to its ever-growing global clientele base. LiquidWeb have footprints in each of the web hosting product categories save for shared web hosting. For instance, their cloud hosting solutions give businesses the advantage of scaling their infrastructure in response to an upsurge in traffic. This is particularly critical in businesses that have seasonal sales and whose performance is affected by the upswings and downswings of the business cycles. Because of information security and server downtime risks, you may prefer renting a physical server to host your website. LiquidWeb have dedicated hosting which guarantees you that only your website will be hosted on the server and thus you won’t share resources with anyone. With this service, you are unlikely to see your website slowing down. If you are looking for a slice of both dedicated hosting and shared hosting, the virtual private server (VPS) hosting solution at LiquidWeb is probably your best bet. Inasmuch as each virtual private server shares some hardware resources with others, you have a dedicated share of computing resources. As such, you can be assured that none of your hosting neighbors will bring down your site. There are various plans under the VPS hosting with the cheapest costing as little as $59 per month. Whether you are a startup or an established multinational, one of the basic truths you cannot refute is the fact that WordPress is gradually becoming the Google of web-building platforms. 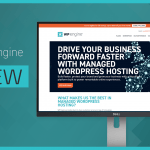 The popularity of WordPress pushed LiquidWeb to offer managed WordPress hosting. Through this hosting solution, the company takes it upon itself to keep all your WordPress installations up to speed in addition to protecting your site from any looming security threats and loopholes that hackers may exploit. 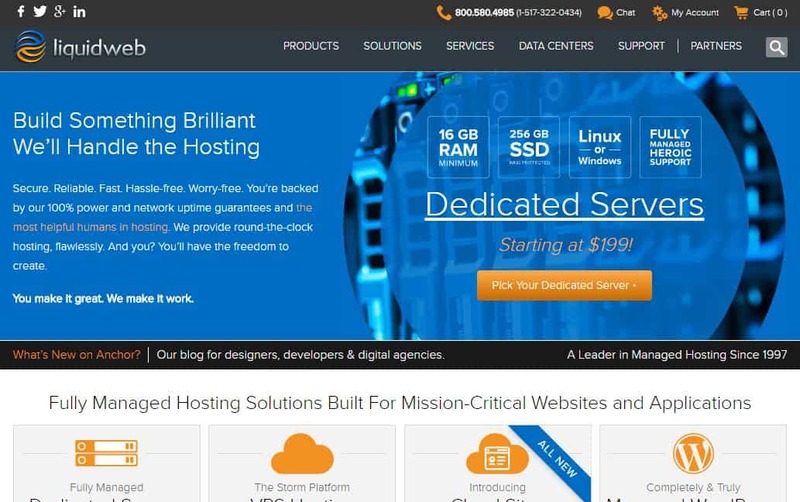 Irrespective of your industry, business scale, and niche, chances are you will find one of these hosting solutions extremely useful. If there is an aspect LiquidWeb prides themselves in, is their 24/7/365 on-site Heroic Support comprising over 400 technicians. This team has both Windows and Linux Certified technicians who are available on phone or live chat with a response time of under 59 seconds. They also have an extensive knowledge base just in case you want to browse through. In a world where customer support is being automated and service providers are increasingly adopting the non-human interface, it helps to have a team of knowledgeable professionals that can attend to customers. LiquidWeb have scored big in this. Have you ever hosted your website with a provider who literally holds you at ransom, demanding payment for you to migrate to their servers? Well, LiquidWeb have gone beyond that. As a matter of fact, they have a team on standby to help you to move in from your current host. Web hosting migration can be a relatively foggy process and unless you are accorded quality assistance, you can be frustrated. Through a live chat, you can get help on this at LiquidWeb. LiquidWeb have 3 privately owned and operated data center facilities. These facilities are manned round the clock by highly trained technicians thereby offering one of the top quickest response times the industry has ever witnessed. 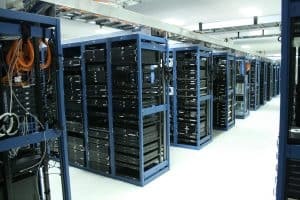 To add to this, the data centers have numerous zones for added redundancy and are equipped with redundant power, cooling network and security systems. What this means to you as a business is that you can be assured at any given time, your information is secure. The failure of one data center doesn’t have any impact on your data security and website performance. The whole essence of having a website is so that you can stay online. Depending on the scale of your business and its dependence on the internet, even a single minute offline can amount to huge losses. LiquidWeb have an exceptional monitoring system known as Sonar Monitoring which literally scans the web for any issues. Should the monitoring team notice a problem, they will handle it proactively such that you won’t realize a problem ever existed. The monitoring is thorough and touches on both software and hardware components. Continuous Backups – It cannot be emphasized enough that data safety is of paramount importance in your business operation. Through their Guardian Backup & Recovery Solution, LiquidWeb deliver exceptional off-site backups which continuously captures the entire configuration of your system so that you can access any recovery information you may need. One-Click Installs – If you want to start a blog or just need to take your website live, one-click installs makes it absolutely easy to put up your website and get it running. Some of the scripts you can find include WordPress, Drupal, Magento, MediaWiki, and Joomla. Management Interface – LiquidWeb recognizes that some customers are DIY natives and they would love managing things themselves. 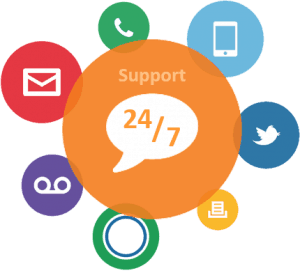 This is why in addition to the 24/7 support they give, they also allow you to access your website statistics and billing information, create servers, and do so much more through their interactive management interface. Security Services– LiquidWeb takes data safety seriously. They offer PCI compliance, SSL certificates, Firewalls, and secure VPNs so that you can be protected at any one given time. The benefits you can reap from such high-level security measures is that traffic coming to your site will have confidence that they are interacting and leaving the information on a safe portal. With customer safety compromises and identity thefts on the rise, it helps to lean on a service provider who complies with all the security standards. Much having been said on the positives of LiquidWeb, it is now time to look at the downside of this web hosting provider. There are a few things that make LiquidWeb sort of undesirable. Businesses looking for web hosting solutions usually have certain goals they want met and one of them is the pricing. In as much as no decision maker bases their selection purely on pricing, it is a significant component. LiquidWeb have excellent premier hosting solutions and top of the range support. However, their pricing is a little bit higher compared to their competitors and out of reach especially for startup businesses and personal pages. Managed dedicated server solutions start at $199 per month. The highest package under this hosting solution is the dedicated bundle that gives you 64 GB RAM, 5TB bandwidth, 1TB SATA Backup drive, and a primary drive of 2×250 GB SSD all at $509 per month. VPS hosting – This solution has 4 plans with the least at $59 per month and the highest at $219 per month. Cloud hosting – This starts at $159 per month and their highest plan is priced at $309 per month. Compared to their competitors, LiquidWeb are pricey and this potentially bars people from accessing their services. LiquidWeb discontinued their shared hosting plan and the closest you can get to this is the virtual private server hosting. While shared hosting has its own disadvantages, businesses that are coming up and which do not have as much resources devoted to website maintenance, find it convenient. This is largely because the cost is shared and as such each website owner pay a little to have their website on the server. 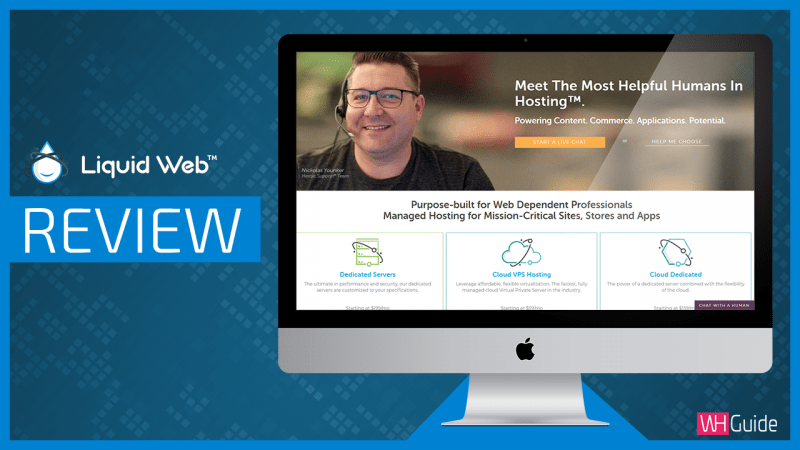 The reason LiquidWeb gave for discontinuing shared hosting in April 2016 is that it wanted to narrow their focus to offering products tailored for business owners with complex requirements. The shared hosting platform was sold to Deluxe Hosting, a leader in shared hosting platform. Startups and personal websites are again disadvantaged because of this. If you are a business which is ready and rearing to go, LiquidWeb give you the real deal in web hosting. Their high-powered hardware and a support team you can always count on are a key selling point. The fact that they own their servers instead of sharing them with other web hosting service providers is a gamechanger because their focus has now shifted to building new solutions to make your life easier and your websites safer. However, if you are a small business with no sufficient financial muscle, you may want to shop around a little bit more for the appropriate web hosting solution provider. ClickFunnels Review: Is Your Website Killing Your Sales Potential?